The Capsule Collection is a range of fully upholstered lounge chairs and sofas whose form is derived from a simple capsule shape. 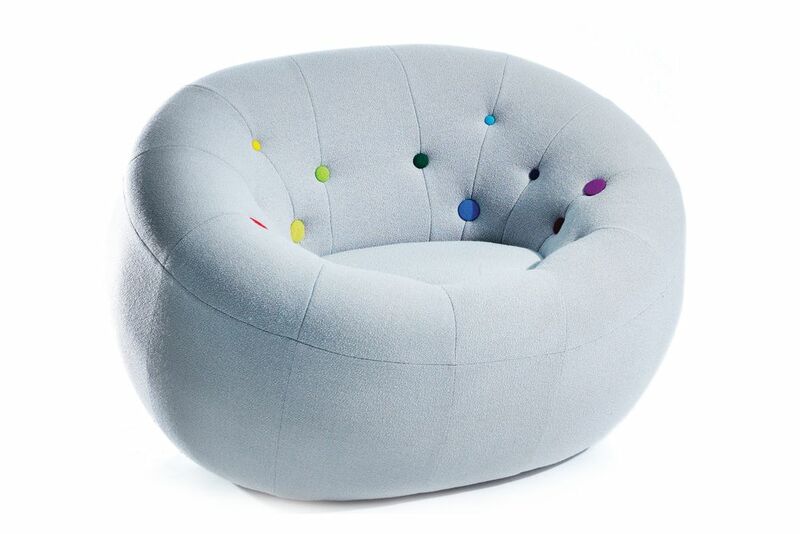 The products feature either a contrasting run of colour tones and textures that cover an arrangement of irregular sized buttons, offering a playful and funky reference to both the solar system and 60s space age adventure or no buttons at all (pictured).The products are available as a single seat chair or a two /three seat sofa; produced out of a solid timber frame with the option of being specified in a vast range of fabrics and leathers should it be required. The Collection is ideally suited to reception and breakout spaces within a variety of commercial or domestic applications.